"Excellent tool for editing photographs"
I love that the software is online and does not need to download anything, that's great, because previously I had to download several editing programs that put my computer super slow, and I hated it, it is excellent when editing our photographs , very easy to use and I can use it from anywhere I am with internet connection, among the tools that Pixlr Editor offers are selection (rectangular, oval, freehand and color), brushes, pencils, fills of color, clone buffer, tools of envelope and underexposure, of focused and out of focus and multitude of filters very similar to those of any application "of payment". In general it is a platform, simple, intuitive, easy to use and maybe not the best in the market or the one that makes the most professional editions, but it is undoubtedly an excellent candidate for editing. Pixlr Pro has become one of my favorite tools and the first ones I go to when doing a job, so I really do not have any negative things to say about it, it just works, it's free and online, it's fantastic. If you are one of those who do not need to have the last of the tools of Photoshop. If you are one of those who often say that they do not use Photoshop because they do not need such a professional application but with your processor, you feel that you are ever short. If you are one of those who think that you spend money on an application that you will use very occasionally. If you are one of those who prefer not to use a program that hacks it ... Do not forget to try Pixlr. It is an excellent option for all those users who want to come in when doing photo retouching with tools of a level that until only a few years ago only professionals could access but with a simplicity of use, universal availability and completely multiplatform. Although Pixlr Pro is not the ideal platform for such professional jobs, if it is for 50% of my work cases, which are simpler jobs, a little less demanding than others and that I must also finish in short periods of time. time, additional to that is free so I do not spend on editing programs. "Best online editing tool "
What I like most about Pixlr is the simplicity of altering pictures in the cloud, chiefly utilizing Pixlr for brisk altering of pictures, for example, including content, editing, resizing or applying channels to photographs. Actually the application is basic and outwardly wonderful, it enables you to make the most essential modifying just which is extremely helpful on the off chance that you are not enamored with altering. The main negative of Pixlr, despite the fact that I would not say that it is terrible, however that is made intentionally along these lines, is that being excessively basic there are somethings that one can not do. 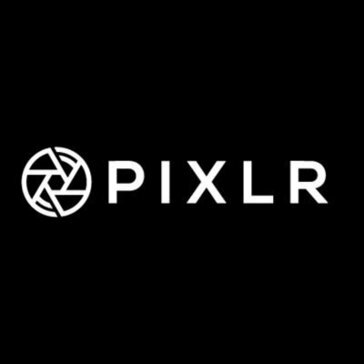 I suggest utilizing Pixl on the off chance that you need an application to alter your pictures rapidly and effectively (in only a couple of snaps). On the off chance that you additionally would prefer not to pay any kind of permit you can utilize Pixlr for nothing. "Most useful & Effective Photoshop editor"
I declare related to the sure thing wind I don't notice to instal peasant-like software on my abacus , the software is online and excellent free alternative to expensive snap editors . The online program has the unconcealed physiognomy required to abbreviated gauche photo and is certainly easy to use with little training . You are gifted to spare your play the part online and cross out later from any computer with internet access. It would be spot on target to be talented to twin and unite imagine layers foreigner images second-hand foreign parts of the program (instead of having to cheerful the suppose, furnish reproduction it and cling it into another image as a layer). The online personage of the program all things considered requires a presumptuous internet rapport, and the managing editor needs to be correct to whoop fasten extensively of the spyglass, against I've never personally lost my work. Being Social Media selling govt, I actually have to figure with millions of Social media pictures campaign and ads, thus it's handy on behalf of me to use Pixlr Editor that is simple on-line editor provides all the desired tools that i would like. because of Pixlr Editor we do not wish to attend for Graphics designer we have a tendency to use to manage it by ourselves. "Liven up the photos of your products with Pixlr Pro!" A good photo editing program allows you to perform all the processes to retouch images and get the most out of a photograph. Pixlr Pro is one of those wonderful editing programs. Pixlr is a tool for editing photos online that I use a lot and is one of my favorites. Every day I use pixlr pro I like it more. pixlr pro will help you to improve the appearance of your images or photographs. I always use it to edit the photos of the sports products that I sell and then upload them to my social networks. I have obtained many more sales. My photos are more attractive and eye-catching and I have more clients who want to buy the products that I sell. If you own an online store, it is good practice to insure your business, to offer buyers clear and professional-looking product images. The images you use in your store will arouse consumer interest in your products. That's why I like to use Pixlr Pro because it has helped me to make the photos of the products I sell more attractive. It is a wonderful image editor that has transformed my photos and makes me earn more money. It has easy drop down menus, filters and effects, transformations, text editor and it is not downloaded because it is web based. "Create images like a Pro with Pixlr Pro"
Pixlr Pro helps me in creating the best images for any platform whether it be social media cover or just a simple birthday card. It is the best for corporate images as well as simple images. Also there are hundreds of templates for each category which makes me design a perfect creative for every image that I have to create. As such there is nothing that I dislike about Pixlr Pro. It's just an amazing platform. Pixlr Pro is highly recommended to every individual who makes images online and wants to create pro images. It is free of cost. I use Pixlr Pro in office as well as home. It has got several templates and each one of them is in psd format which is just amazing. It is easy to use with a bit technical knowledge. "Best For online Editing Images"
I cherish that the product is on the web and does not have to download anything, that is extraordinary, on the grounds that already I needed to download a few altering programs that put my PC overly moderate, and I detested it, it is fantastic when altering our photos , extremely simple to utilize and I can utilize it from anyplace I am with web association, among the apparatuses that Pixlr Editor offers are determination (rectangular, oval, freehand and shading), brushes, pencils, fills of shading, clone cushion, instruments of envelope and underexposure, of engaged and out of center and large number of channels fundamentally the same as those of any application "of installment". As a rule it is a stage, basic, instinctive, simple to utilize and perhaps not the best in the market or the one that makes the most expert releases, yet it is without a doubt an amazing contender for altering. Pixlr Pro has turned out to be one of my most loved instruments and the initial ones I go to while carrying out a responsibility, so I truly don't have any negative things to state about it, it just works, it's free and on the web, it's fabulous. In spite of the fact that Pixlr Pro isn't the perfect stage for such expert occupations, in the event that it is for half of my work cases, which are less complex employments, somewhat less requesting than others and that I should likewise complete in brief timeframes. time, extra to that is free so I don't spend on altering programs. "Best Web Editor for pictures"
What I like most about Pixlr is its usability. By stacking the application we can choose a few choices, from opening a current document to another one, for those of us acquainted with Photoshop we won't have issues here. Something that we should remember is that Pixlr works with Flash, so we more likely than not initiated the module in our program. Sure, I would like to recommend to my friends. "Make Image like a pro version of Picasso with Pixlr Pro "
Pixlr Pro causes me in making the best pictures for any stage whether it be online networking spread or only a straightforward birthday card. It is the best for corporate pictures and in addition straightforward pictures. Likewise there are several formats for every classification which makes me structure an ideal inventive for each picture that I need to make. There is extremely constrained supply of the eminence free pictures, that builds my work of finding a similar sort of pictures or different variants by means of google and after that including them. I utilize this product to change and alter a ton of my own and business pictures. "More Advanced Photo Editing Tool"
The most Advance and Powerful Image Editing tool which you can use straight from any browser which I like the most about it. You can import photos from Facebook as well, moreover you can save your work in PSD formate as well. quite an effective tool. As of now, there is which I Dislike about Pixlr Pro. Yes, I Do, I can tune every aspect of my photo manually and enhance photos as quickly as possible. My Most Favourite open source Photo Editor with a full Photoshop-style editing interface. As an SEO I require quick and easy ways to make the creatives and graphics to be posted for social media posts and blog images. Pixlr made my job trouble-free. Developing the templates and new screens turn out to be easier and even in the absence of the graphic designer the posts more seem to be like professional and that’s how Pixlr pro worked for me. "Act like a Pro Designer with Pixlr Pro"
I just love the templates which are very well categorized. Pixlr Pro lets me create pro like images in no time. As such there is nothing that I dislike about Pixlr Pro. Pixlr Pro is highly recommended to every digital marketer specially. Not all companies have bulk of graphic designers who can provide images whenever they are asked to do so. Pixlr helps us (non-designers) to make images using great templates whenever we require images on urgent basis. what I like most about this is the ease of use. It resembles all the adobe programs which is what makes it so easy to use and adaptable. Another great thing is that you can access it anywhere is an online graphic tool. Doesn't yet support dragging & dropping images in to the browser window. And to get more effects you need to pay to use them. Get the app its great and free and gets the job done. it also has many filters that are similar to adobe photoshop! I mostly use it for quick edits and when I don't have access to my Mac where have photoshop. "Design like pro just in minutes "
Being an HR intern, I need to make a lot of announcements every week. Pixlr Pro makes it easier for me to frame an invite to the events and meetings in more creative manner. There is very limited stock of the royalty free images, that increases my work of finding the same kind of images or other versions via google and then adding them. Since Pixlr pro is already available online so it eliminates the trouble of installing the softwares into the device and can be easily accessed from anywhere. "Use Pixlr Pro and Avoid the Pain of Installing Photo Editing Softwares"
The best part I like from Pixlr Pro is the application doesn't require to be installed! Didn't found yet! I am just enjoying it! Well, I am a digital marketer and I can't afford the expensive pro-version of other software. The best thing with a Pixlr-Pro is free. I really like the usability of this software and the suite of options. There's definitely a large amount of custom templates and fonts that i use often. I wish that i understood more about the suite of features; like sometimes I accidentally find things. Then its hard to find/ locate them again. I use this software to modify and edit a lot of my personal and business images. "I'm Really Impressed With the Editing Capabilities"
I love that the interface is just like Adobe Photoshop's layout and has the same tools and capabilities. It's user friendly and allows you to use keyboard shortcuts making the workflow go faster. I don't like that it takes a long time for a RAW file to open into the program, but for working only on jpgs, it loads fast. There are other editing software programs that have come a long way since Adobe Photoshop has been released. I'm more open to trying other programs now than I was several years ago. I dont like how when im working on stuff and the mobile app crashes and i lose my progress sometimes. Hopefully they fix it soon. We use it for our social media pages and help edit images together. We also use it for when we make articles and put banners together. * We monitor all Pixlr Pro reviews to prevent fraudulent reviews and keep review quality high. We do not post reviews by company employees or direct competitors. Validated reviews require the user to submit a screenshot of the product containing their user ID, in order to verify a user is an actual user of the product. Hi there! Are you looking to implement a solution like Pixlr Pro?